Here it is. I have finally finished it, and here is the very first version of the ScandinaviaMod map, for ProMods. In this first version of the map, there are added rebuilds, new roads and a new city. Areas made in Denmark are no longer in current version of ScandinaviaMod! In this map there are added rebuilds, new roads and a new city. As shown in this image, red marks everything this version is containing of what i have made. Last edited by Chris94_NOR on 29 Dec 2018 14:07, edited 34 times in total. Last edited by CAPLV on 05 Sep 2017 19:45, edited 1 time in total. It truly is like Christmas today. The Christmas presents just keep coming! 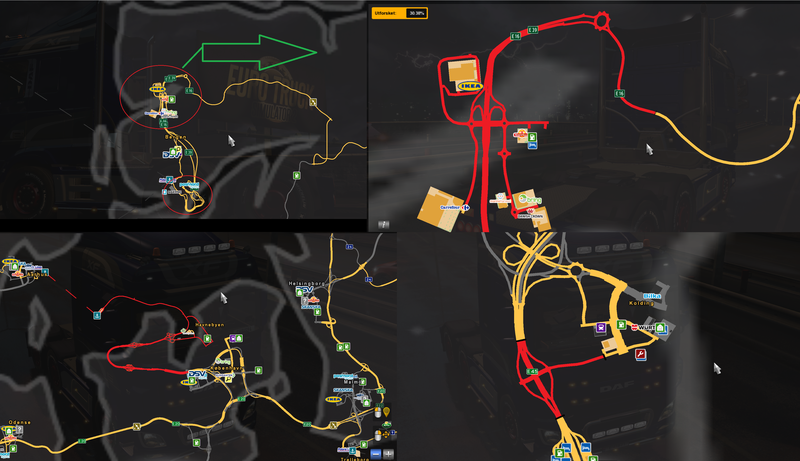 Great work Chris, definitely added to my map combination!